That only 20-25% of the drug in inhalers travels to the lower airways and 75-80% of the medication deposits in your throat and mouth. Salt Therapy is the only treatment that will treat the whole respiratory system. Which is completely safe and provides long-term relief for people suffering from respitory problems such as asthma, hay fever, bronchitis, sinusitis and COPD. You can have a Family Share Salt Room Membership that you can share with your entire family? WHAT IS SPIRO SALT THERAPY? Salt Therapy is also known as halotherapy. The term halo comes from the Greek háls for salt. It is a modern method that mimics the natural microclimate of salt mines in the manmade salt rooms. The practice of salt therapy dates back hundreds of years, when doctors in Eastern Europe prescribed visits to special salt mines, often elaborately furnished, for relief from respiratory ailments. Today, modern technology has made it possible for people to get the benefits of salt therapy above-ground, in modern salt spas, where the effective and safe benefits of natural salt caves are faithfully replicated. Research on halotherapy has, largely, been conducted in Eastern Europe, where modern halotherapy has been available to the public for the past 20-plus years. 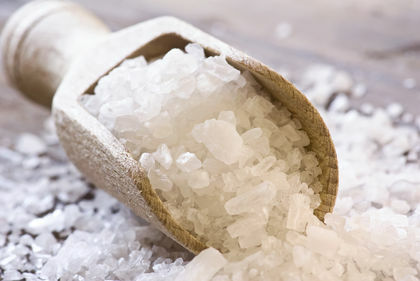 Our salt therapy room is equipped with a halogenerator – the machine that makes modern salt therapy possible. It produces dry salt aerosol, which is simply the combination of micronized salt and air. The process of creating this nearly invisible aerosol starts by loading salt in the halogenerator’s grinder, which breaks the granules down into tiny – nearly invisible – particules, which are mixed with air, and dispersed into the salt room. Because this salt room is outfitted with advanced halotherapy equipment, the level of dry salt aerosol saturation can be controlled. Throughout the halotherapy session you may hear the grinder and fan operating. This occurs in response to a sensor that measures the level of salt in the air, so that the level is constant and therapeutic. The halogenerator in this salt room was made by Halomed, a company committed to optimizing wellness through halotherapy. Its high performance technology is directly based on the specifications of the world’s leading halotherapy pioneer and authority, Alina Chervinskaya, M.D., Ph.D.
Halotherapy provides relief from asthma, allergies, sinusitis and sinus headache, COPD (Stage 3 and lower), cystic fibrosis, exposure to dust and pollution and other conditions that affect breathing. It can also support those with psoriasis, eczema and acne. While relaxing in our treatment room, customers inhale the dry, salt-enriched air deep down into the lungs, where the healing benefits do their greatest healing. The salt loosens the mucus, which begins to clear quickly, and inflammation is reduced, which makes more room in the airways for you to breathe. In pediatrics, Halotherapy is most commonly used for treatment and rehabilitation of children with asthma, with efficacy rate of 75-85%. Halotherapy has also demonstrated high efficacy in the treatment of children with recurrent bronchitis. The therapeutic impact of Halotherapy has given many children the opportunity to significantly reduce the use of antibiotics and prednisone-based medications.